When I began homeschooling I fully intended to be one of those textbook mommas. A couple years in and we were all about online curriculum. This year it was important to me that on top of our children’s core subjects that they could also have the freedom to pursue new hobbies and skills that they were interested in. Of course, this can get very pricey when you are talking about investing into for different type of courses for 4 children. Even more so if our children were just going to begin this journey of discovering new interests. And this is where this particular online program became the tool that saved our school year…. For those who may not know SchoolhouseTeachers.com is a site that offers a wide range of courses that begin at the preschool level and go all the way through high school. What many don’t know is that courses is not the only thing that they offer! I was actually shocked to find that they have a pretty intense selection of parent helps as well. Within that section, you can find a grade tracking program, course checklists, planners, mini-courses to help you grow as a parent and more! Not only do they have courses that have been put together by some of the greatest homeschooling educators but they also provide a few other valuable components that many don’t realize. With a membership to SchoolHouse Teachers, you also get access to World Book online. With World Books, your child can learn about the world in a whole new way using videos, games and more!. They also have a video library filled with content perfect for character training, diving deeper into various course subjects and seriously who couldn’t use these resources? Our children have picked a few courses that they really want to learn more about. Our oldest is using Webquest to learn more about electronic games. Within that course, he will be using the World Books feature. Our Second oldest will be diving into photography this is a 30 weeks course filled with all sorts of activities to help him develop his love of picture taking. Our princess decided to take the Fun with Cooking course. Within this course, she will be learning all sorts of new recipes and cultural foods. Currently, SchoolHouseTeacher.com has an amazing offer. Ultimate Annual Yearly Membership is a way that you can get all the resources I have mentioned and more. The membership gives you access to courses for your pre-k student all the way up to your 12th grader. Just because SchoolHouseTeachers.com truly believes in this product and that it can help you in your homeschooling journey they are offering you a discount! The fact is that homeschooling is hard. 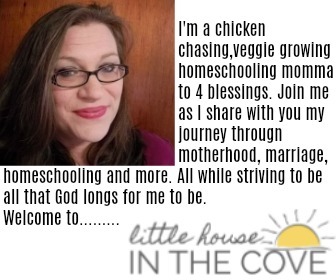 The good news is that we have tools available to us that can truly be world changing to our homeschooling journey. I would love to know what is it that you currently use in your homeschool that you have found world changing. « Day of Love Turned Day of Grrrr……..